(so you can get back to your life). You've got 24 hours in a day. Don't waste them all on payroll. During a lifetime, the average American will spend 10.3 years of their life at a desk and another 4.3 years in the car. You don't have time to waste on payroll. The precision and strategy it takes to be an accountant or payroll manager is not anything you want to slack on. But manual practices and antiquated systems can leave you spending way more time on payroll than necessary. 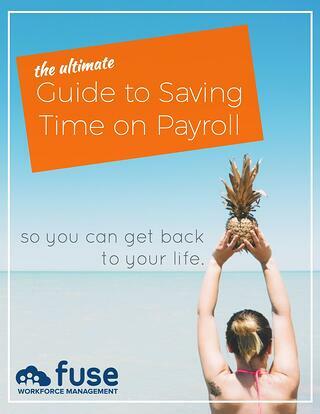 In our Guide to Saving Time on Payroll, you will learn ways to effectively manage payroll without letting it consume your day. Get time-saving resources, practices, and tools to help you manage payroll better and faster. What you do with all that time you save is totally up to you. "Processing payroll is a breeze!"